Karina enjoying a laid back Southampton beach day. The window seat is best for mom and baby. My wife and I have been going to the Hamptons for ten years, and we were very excited to share this special place with Karina. While there are hotels and bed & breakfasts in the area, we recommend renting a house (or, as in our case, be invited by a generous friend). As expected, prices in the Fall are much less expensive than Summer, and let's face it, with a newborn you'll be avoiding the beach and mostly be going on walks and hanging around the house. It's important to have some space and a nice location, and in my case, a large kitchen to make dinners and baby food. Transportation is easy. For this trip, we opted to rent a car, but on every subsequent trip we've taken the train. Trains are perfect for babies. You can nurse them, walk them, and entertain them by facing them toward the scenery zipping by outside. During the summer it can be tricky to get a seat if you're traveling sans baby, but once your little one enters the equation, I've found that people will always offer their seat to you. For the best deals on lodging, I recommend going in early Spring or after Labor Day. And if you choose the Fall, you'll get the opportunity to go apple picking. This is probably the most baby- friendly activity we have done to date. Strap baby onto your chest with an Ergobaby (for review click here) and stroll down the orchard picking apples at your leisure. This one was tops.They also serve some of the best hot chocolate and hot apple cider around. Hanks Pumpkin Town is a must! Don't forget about pumpkins! If you happen to be near Southampton, we highly recommend you take the family to Hank's Pumpkin Town. To get into the main attraction area there is no admittance fee. Hank's knows the more fun you have, the more likely you will buy pie and pumpkins. And there is no shortage of fun or pumpkins here. Giant wooden play structures dot the area. Some are reserved for the older kids, but others are perfect for your one year old. Breathe in the Fall air, pick up some of the delicious kettle corn, and take a lot of pictures. Like mother like daughter... Both like The Golden Pear. This local favorite has long lines but is worth the wait. The "Spa menu" as it's called has some healthy options, and the Turkey Chilli is the best I've tasted. I also appreciate the large selection of coffee and creamers available. If you're lucky, snag a seat on the sidewalk and do some people watching as you eat. Main street is perfect for walks with stroller. Typically my wife and I will take turns eating while the other entertains Karina. When we eat with friends, one of us will take Karina for a walk if she gets fussy. Main Street in Southampton is one of my favorite places to do this. Charming boutiques and restaurants make for great window shopping, and the people you encounter are very friendly. Check out one of our favorite clothing stores, Tenet, and grab some juice at the JuicePress. We cook a lot in the Hamptons, and this place has quickly become our favorite grocery store. The hamburger meat is pre-prepared into sliders for easy grilling, and vegetables have already been sliced and diced and placed on kabobs to cook alongside. The fish is some of the freshest around. Granted, you will be paying a bit more to shop here than Schmidts, which is just down the street. The prepared food here is also good if you are hungry and in a hurry. Coopers Beach has been dubbed one of the top beaches in the nation in a few travel sites. And rightfully so. The water is usually calm, the soft sand never gets too hot and is perfect for Karina to play on, and it's a public beach so you can bring friends. Be sure to also bring an umbrella and large blanket so that you have some non-sand options for baby. For a complete list of items to bring for a beach day. Click here to read our post. As I mentioned above, I cook a lot in the Hamptons. This is my favorite non-BBQ recipe for when I'm there. Originally a Thomas Keller recipe, I've modified it for speed. 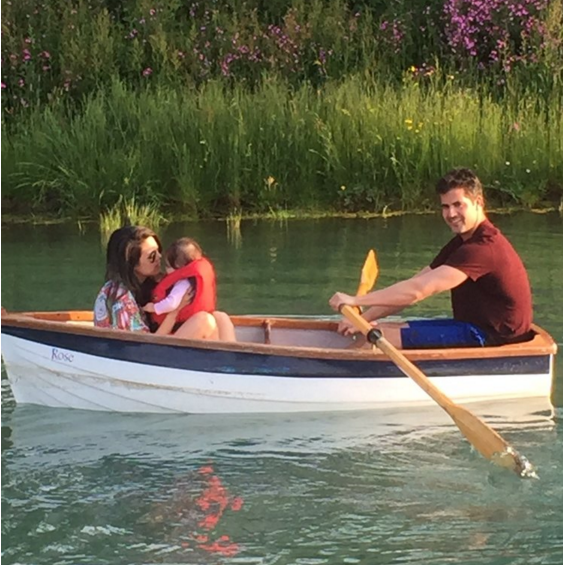 Nobody with a baby has time to do the whole thing (and if you do please get in touch for your tips), and my way tastes just the same (Don't tell Thomas). For the original recipe click here. Season the Pork with salt, pepper and garlic salt. Preheat the oven to 350. In a large saucepan heat 2 tablespoons of Canola Oil until super hot (high heat). Then, take the pork and sear all sides (about 2 minutes per side). When complete, take a quarter stick of butter and lemon slices and throw into the saucepan. coat the tenderloin generously with the melted butter. Then transfer the pork to a pan with a raised roasting tray and put in over for 20 minutes. You can make some baby potatoes with it as well, but get those in the oven at least 30 minutes prior to the pork. Coat the potatoes with garlic, salt, pepper and olive oil. Boom. It's awesome and simple. Mic drop. We've been going to LA for many years, but this was a first with baby. It was a quick stopover on our trip to see friends get married in Lake Tahoe. However, we did manage to pack a lot in to the three days that we were there. Thankfully, we stayed with a dear friend (the best strategy for minimizing costs) but we have enough experience with the city to offer some baby-friendly hotel recommendations. Next trip we will stay in one of them to confirm our assumptions. The first day we were here we tried to only use Ubers. Words of wisdom: DO NOT DO THIS. Cars are reasonably inexpensive to rent and you need them to go everywhere. Fairmont Miramar Bungalows and Suites in Santa Monica. We were fortunate to have a friend staying there, so pool access was not a problem. The setup of this hotel was great. The gym has a huge balcony that overlooks the pool, so I could observe my wife and baby as I got a quick workout in. If baby got fussy I would be able to hear it and run down to assist. Here's a pro tip: always make time for a workout when traveling. It may have to be short, but coordinate and take turns with your partner. Traveling while fit is the easiest way to travel. I strolled baby around the entire pool area and hotel lobby and felt very welcomed. I also saw a lot of other families, so you won't be the only person with a kid. The Strand in Manhattan Beach. We had to wait an hour for this place, but it afforded my wife the time to nurse Karina in the spacious and comfortable waiting lobby. The food here is good, but the real draw is the amazing view of Manhattan Beach pier and sparkling blue water. I've actually forgotten what we ordered, but will never forget the view. I walked Karina while AnaLiza and a few of our friends ordered appetizers. When I had succeeded in getting the baby to fall asleep, I had no problem strolling into this place. Door was held open for me and I was escorted to our table, which had ample room to situate the stroller alongside. The food here is innovative and tasty. I recommend ordering the Tuna Crispy Wonton Tacos, The BBQ Prok Short Rib and the Pad Thai. We discovered this place through a friend's recommendation. We wanted a family beach day, but we also faced the reality that Karina can only be at the beach for less than an hour before getting fussy. This little gem of a place solved all of our problems. Parking is abundant if you grab lunch, and you can rent cabanas on the beach for 30 bucks. I highly recommend getting a cabana. Baby can play in the shade on the cushions, and you can take turns taking naps in the sun. If you tip the cabana boys well, you can get more than the two allotted beach towels, and they will also shift umbrellas around so baby gets shade while you get sun. If your child is a bit older, definitely check out Point Dume state park. Easy to park for a small fee and within walking distance of some great restaurants and shops. We drove into the lot but realized Karina was still too young for this beach - looked great though. Take a half day trip out to this beach community for an epic stroller walk. Start your journey at The Strand and walk towards the beach where you will find a smooth walking path that sits between the beach and some incredible beachfront houses. We loved looking at the houses while Karina snoozed away in the stroller. Grab some excellent coffee at Two Guns Espresso on the end of the pier. Karina taking in beautiful Old Town Dubrovnik. A wedding of two close friends brought us to this little corner of Europe. We had considered leaving Karina with her grandparents, but the trip was long, and those same friends who were getting married insisted that we bring her to help celebrate the special occasion. I'm glad we listened. We had been in London the week prior so the travel involved was more manageable than if we went direct from New York. If you don't plan for a stopover in a large city in Europe, expect 2-3 stops to get here. With a baby this may be a little much. 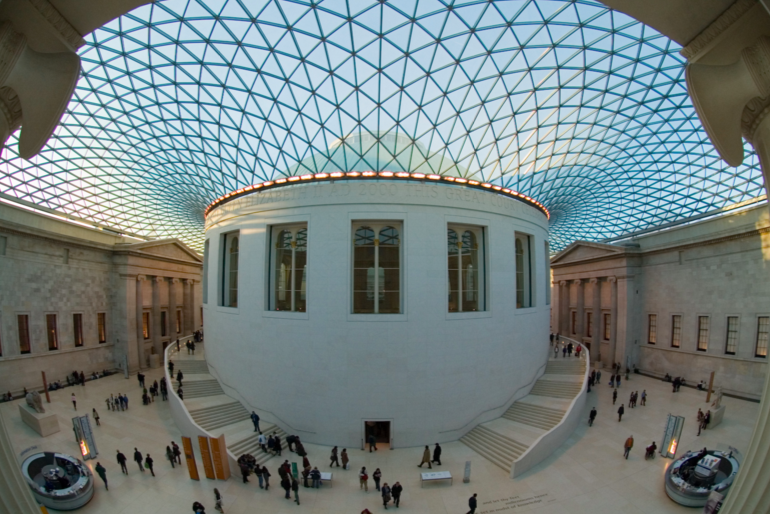 We prefer to plan stopovers for large trips like this, plus it's just more fun (see London city guide). The first stop was Dubrovnik. We did not stay the night here, but we did allow a few hours to see the big castle in the city center, made famous by the Game of Thrones, as well as have one of the best fish dinners of our lives. The remaining four days was spent in Montenegro. For the purposes of this city guide, we will combine both countries. The gem of Montenegro is the Sveti Stefan, a walled city from 1442 that was converted into a playground for the rich and famous in the 1960s and more recently purchased and renovated by the Aman resorts. Rooms here can fetch upwards of thousands of dollars in the off season. I do not recommend staying here with or without a baby. First, it is completely antagonistic to strollers. Stairs and changes in elevation are everywhere. One of the wedding events was held there, and while I frequently do crossfit and consider myself in fairly decent shape, I was a complete wreck after navigating the stroller and carrying the baby. Throw in my wife's high-heeled shoes and it was a nightmare. But it is one of the most beautiful and enchanting buildings you will ever see. Rather, you should stay at the Villa Montenegro. 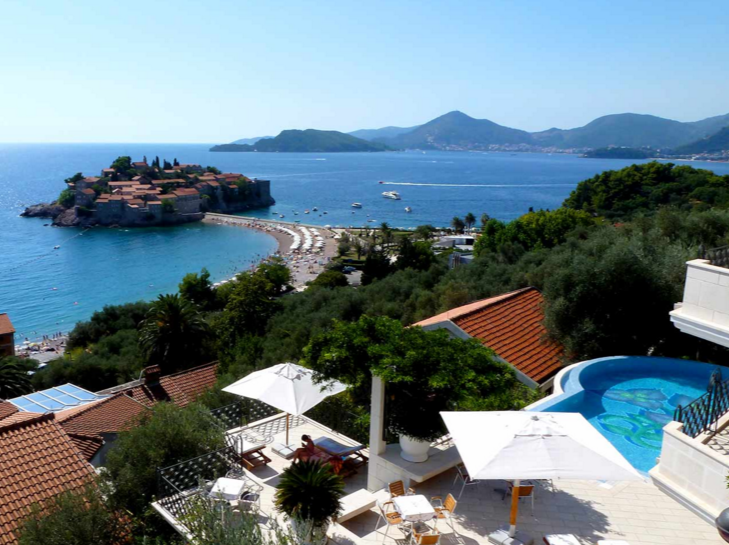 Perched on a hill, you have a magnificent view of the Sveti Stefan. The owner of the hotel, Phillipe, has a soft spot for babies and made our stay super comfortable and extremely memorable. He reserved a little area where we could take the pool chair cushions and make a little play area for Karina, as well as made sure the umbrellas were expertly positioned so that the baby had shade, while mommy and daddy could get a tan. Did I mention he also served me a complimentary tasting flight of the areas local liquor? Pool days are the best days at this hotel. Admittedly, most days were pool days, hence why this post is so short, but I wouldn't have had it any other way (plus baby wasn't quite ready for the ocean water yet). The rooms were also amazing for a family. We were staying with friends, so we split a two bedroom suite. The hotel provided a pack-and-play that served as Karina's crib, and Phillipe made sure we had ample spoons (Karina's favorite toy at the time) as well as ice, towels and pillows so we could make play areas for her. Not on the island of Sveti Stefan, but still part of the Aman resorts is the Hotel Milocer. This one-time residence of royalty has been converted to an incredibly intimate resort. Our friends stayed here during the wedding and the ceremony and banquet after were held here. If you can afford it, I would defintely recommend staying here. It has an incredible private beach as well as paved sidewalks and compact gravel trails that are perfect for baby. The fish in Dubrovnik was spectacular and takes the award for best meal of the trip, but this little hidden gem takes a close second. Situated on the beach to the front and left of the hotel if facing the water (forgive me for not remembering the name, but its easy to find), this place will bring the catch-of-the-day right up to the table to let you choose the most appealing. A special olive oil and garlic sauce is served with the freshly made bread and is very addicting. Try to refrain from eating too much bread because the fish is fresh, satisfying and very memorable. Served with ample vegetables and potatoes, four of us almost couldn't finish it all. The price is pretty reasonable as well. This is the restaurant in Dubrovnik I wrote about in the above intro. Tucked down a side street after entering the city through the main gates, this masterpiece of a restaurant sits within an ancient yet sturdy stone structure. We ordered the sea bass special, lobster bisque and a shrimp pasta. None of the dishes disappointed. Just as we were about to order the local Montenegrin wine, the sommelier advised up against it. "The mountains are the most beautiful in the world, but the wine is not so good," he shared. So we let him pick a nice Italian wine for us. With a bar fashioned after a boat and a view to die for, the food at the hotel was some of the best of the trip. A continental breakfast consisted of straight-outta-the-oven pastries, French-pressed coffee, and freshly squeezed juice. It all comes complimentary with the room, and for an additional fee you can get eggs. The hamburgers and pasta dishes are also very good. I highly, highly recommend renting a car. Ubers and taxis are not reliable and I just felt safer with my own vehicle. While this is a safe area, it is still in my opinion a third-world type country, and it's best to be as self-reliant as possible. The car rental situation at the Dubrovnik airport is very easy and convenient, and was suprisingly cheap. I did not need an international drivers license either. On the way, you will have ample opportunities for sightseeing. We stopped at the Savina Herceg Novi semanary and church. This church is still operating, has views of the surrounding mountains and vineyards and has incredible Greek Orthodox style religious paintings inside. The cemetery attached has some impressive graves with etched portraits of their inhabitants. About 45 minutes from Sveti Stefan you will have to take the Kotor Ferry, which is an incredible experience in and of itself. Steep mountains plunge into the pristine waters and tiny homes and stone cottages line the water's edge. The ferry costs a couple bucks and we never experienced much of a wait. It runs 24 hours as well, and there is no need to purcahse your ticket in advance. Even though I am very against renting a hotel room here if you have a baby, it is necessary if you want to see the interior. That or be lucky enough to have a very successful friend who has his reception cocktails there. I am fairly certain if you call ahead, you may be able to arrange a tour. This is highly recommended -it is truly magical inside. The beach near Sveti Stefan. There is a public beach to the left of the Sveti Stefan. For a small fee you can rent some umbrellas and chairs and have a beach day to rival all other beach days. The sight of the Sveti Stefan, protected waters and mountains to your back create an enchanting atmosphere. There are some beach cafes that serve food and drinks. While I did order a beer, I did not sample the food. The beach is easy to get to on foot, or by car if you bring the whole family. Each morning I would sneak out (with permission of course :)) while my wife nursed our child and did a few quick laps in the bay. The water feels great and prepared me for a day at the pool with baby and wife. So good we posted it twice. This ancient wonder is where King's Landing gets its inspiration. The only difficulty getting entry with baby were the stairs just after entering the main gates. After you navigate those stairs, it's smooth sailing on polished cobblestone streets. We visited at nighttime, which was spectacular and magical. The side streets contain many shops and boutiques. The stores closer to the main entrance are more expensive than those hidden farther in. Word to the wise, don't purchase wine or alcohol here. It is very expensive and there are better options in the town outside. We passed many inns and hotels and I imagine lodging is readily available and at all price points. Be sure to check out the restaurant we posted about above. Scroll through some more pics of our trip! Believe it or not this was that hardest city guide to write. NYC is our home, and its hard to narrow down the spots we wanted to share with the world. So we decided that this page will be a living document that will continually change as we write posts about our adventures with Karina here. Keep checking back! The Mercer - Great, intimate boutique hotel in the center of Soho. The odds are high you will see a celebrity or two in the lobby. The staff here are great with kids. 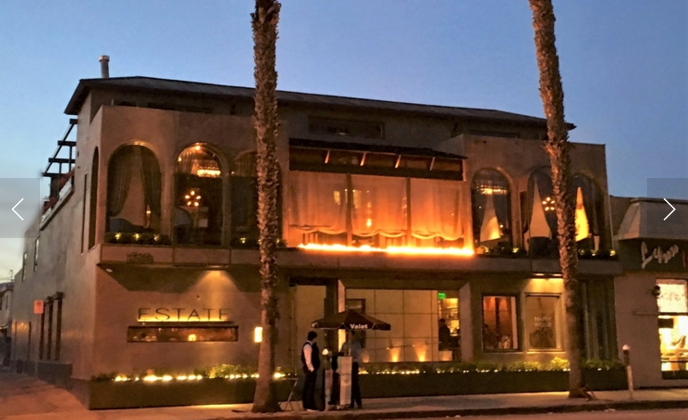 The Standard - The real star of this hotel is the food scene. The beer garden is spacious enough for the stroller, and the restaurant has one of the best brunches around. The Trump - I'm a liberal, but I appreciate fine lodgings when I experience them. Every detail is exquisite, and the staff will bend over backwards to make you happy. If there was a Clinton hotel that matched the fine details of the Trump, I'd much rather stay there. But there's not (yet), so this one will have to do. The Mandarin Oriental - Pricey but the views are worth it. If you don't stay here, at least have a drink in the lobby bar. Babies welcome. Club Quarters World Trade Center - Conveniently located by all major subways and next to Battery Park, this affordable option is great for New York on a budget (budget is a relative term in NYC... everything is expensive). Battery Park Promenade & Brookfield Place - If the weather is nice, pack up the stroller and wear some comfy shoes and walk a couple miles along the hudson. End the adventure with a great meal at Brookfield place food court, one of the most baby friendly food courts you will ever find. Tribeca - Check back soon for a TriBeCa guide. Soho - Check back soon for a Soho guide. Hudson Eats in Brookfield Place - This gourmet food hall has something for everyone. My favorite is the BBQ at Mighty Quinn's and the burgers at Umami burger. Bar Pitti - On 6th and Hudson, this no reservation, cash only spot is big with the locals. If you eat early enough there will not be a wait. The Rigatoni Pitti is divine and only $14 (basically free when it comes to NYC prices). The Standard Grill Highline - As described above, best brunch around. The French Toast will keep you satiated for hours. Bubby's - This TreBeCa spot is a huge hit for local families. On weekends expect to see a line of strollers outside and lots of loud kids and babies on the inside. If you're travelling sans kids, this may be a bit much, but with a baby, it's music to your ears. Even if baby screams her head off, no one will be the wiser. Go ahead and enjoy those eggs! La Sirena at The Maritime Hotel - See write up here. The Plaza Food Hall - In the basement of the historic Plaza hotel and adjacent to Central Park, this eatery offers all manner of cuisine. From dumplings to Pizza to fresh Oysters, this place will fill any appetite. This is also the reason its a no risk proposition when you have to satisfy picky young eaters. The Nomo Kitchen Restaurant in the Nomo Soho - Our baby loves to dance and loves music, and the Sunday brunch comes complete with an awesome DJ! Eat some great food and let baby be entertained by the sick beats. A conference for work brought my family and I to New Orleans. Since I would be working for the majority of the trip, my wife’s parents decided to take a short trip down to help us out and keep AnaLiza company. Traveling with people willing to help care for the baby is the ultimtae pro tip when traveling. Understandably, it can’t happen all the time. New Orleans is an amazing baby city as long as you steer clear of certain areas, and get to know the lay of the land before you go. Petty and serious crime can be a problem in New Orleans if you venture off the beaten path, so you have to be careful. But thanks to some expert advice prior to the trip, I never once felt in danger. The food, sights and culture of New Orleans make it one of the most unique cities in the world. We were also fortunate enough to be in the city for Jazz Fest. It was a first for everyone in the family and Karina’s first opportunity to see live music. Out of all trips with baby, this one is definitely near the top. This hotel is close enough to all the main sites of the French Quarter, yet far enough away so that no Bourbon street yahoo will bother you and your family. Off a quiet street, this hotel gives off the vibe that you stumbled upon a local’s well-kept secret. You will be greeted by an amazing staff that once you tell them your name, they will never forget it. Karina quickly captured the hearts of everyone there, and they soon called her "baby girl" and would jump at the chance to hold the door open for us (probably just her), or assist with the stroller up and down the few stairs at the entrance. Upon check-in in, I let the front desk staff know that we would need ice every morning for my wife’s breast milk storage, and they promptly showed up each morning on time without a single reminder. These special touches reinforced that I made the right decision to stay there. In the center of the lobby is one of the features that at first glance I thought nothing of, but as the trip wore on I quickly grew to love. There is a giant sofa bed-type central seating area that was perfect for Karina’s efforts as she learned to crawl. Every morning to give my wife a little extra sleep time, I would take her to the sofa, speak to the staff, and have some complimentary Illy coffee and fruit. It was an amazing way to start each morning. Off of the main lobby is an enchanting lobby bar that gets more magical as the lights dim and the day turns to night. Coming back one evening we stumbled upon a Prince tribute that the owner was putting on. All the patrons of the hotel were gathered around as he played his favorite Prince songs. Karina loved this. The owner made it a point to introduce himself to everyone who stopped by. You could tell he really wanted everyone to have a truly special time. The barkeep made amazing cocktails. I am an Old Fashion connoisseur, and this one was tops. Our introductory level room had ample space, and the hotel provided a very cool antique looking crib. The walls seemed very thick as well, which was a good thing because baby had a few meltdowns in the middle of the night. This location in the warehouse district is surrounded by innovative bars and cutting edge restaurants. The Ace hotel perfectly captures the unique energy, music and culture that is New Orleans. The lobby bar has expert mixologists on staff and the restaurant, Josephine Estelle, has the most delicious chicken and biscuits I've ever tasted. The Stumptown coffee shop ensures an energized morning should baby decide to keep you up. We brought Karina here twice, once to the restaurant for breakfast and once at night to check out the bar scene. From what I've heard, the rooms are well laid out and cribs are provided upon request. Check back in December for a more thorough review. My wife and I will be staying at this hotel during our next trip in Thanksgiving. This is actually two restaurants. One is expensive, fancy and super delicious. The other is inexpensive, laid back and equally delicious. If you only have time for one, and don't like to take your baby to fancier restaurants, then yeah, go to Butcher and order the pulled pork sandwich. It will be one of the best decisions of your life. Cooked for over 24 hours and packed full of juices and their patented rub and sauce, this sandwich will keep bringing you back to New Orleans. This place also had a killer Old Fashion. Mommy loved the dessert selection and feasted on a very large brownie pie slice. We had no plans to visit this little gem in the French Quarter, but we had been walking Karina for an hour and we were extremely tired. The restaurant sits on top of a quaint ice cream shop (which is what first captured our attention), and we decided to check it out. The maitre D' at first did not have any seats for us as the restaurant had a full booking. However, the place was empty and I negotiated a deal where we would sit down on the balcony, order some apps, and be gone in the 30 minutes before the first patrons were to arrive. The chef must be a baby fan because we were served complimentary apps, and the cocktails were very generously poured. The balcony (pictured in the intro paragraph) overlooks an amazingly ornate and old looking court house. You could hear the clatter of the street below, but rested easy knowing you were high enough to observe, but not be seen. All the while enjoying a cold beverage and tasty snacks. We will definitely be back for the full dinner experience. As I mentioned in the above post of the Ace Hotel, this attached restaurant has dynamite chicken and biscuits. We dined here for brunch. Karina slept the majority of the time, and we were seated in a quiet corner so that fellow patrons would not wake her. The interior is spacious with a lot of light and tall ceilings punctuated with mighty columns. Modern furniture and banquets make for a very comfortable seating situation. I also recommend the watermelon and feta salad. This lighter fare will balance out the super tasty chicken and biscuits. Did I mention that they have a chicken and biscuit dish that is to die for? This place is the best when the weather is bad. It's also pretty spectacular when the sun is shining as well. My father-in-law spent several hours strolling with Karina through this well-curated and spectacularly-designed museum. The museum covers the wars in the Atlantic and Pacific and uses video extensively, which is the best for capturing your kids attention. The food on premise is great as well, but I recommend walking a few blocks to Butcher for the best pork sandwich (see description under food). Cafe Du Monde is world famous for their chicory coffee and mountains of powdered sugar with beignets hidden underneath. Do yourself a favor and wear clothes you don't mind getting coated with powdered sugar. Otherwise eat with a knife and fork with the wind to your back. This sugar gets everywhere but it's worth it. So when my friend told me the trick I'm about to share with you, I thought it was a joke. But while standing in line for this cafe in the 90-degree heat with a crying baby, I quickly followed his advice. Apparently you do not need to wait in the line for a table. Locals and people in the know walk around back toward the food pick-up window and simply walk into the restaurant. The waitresses will immediately seat you. This worked for us, and it worked for the dozens of people I saw come before and after us. Not one got turned away, and no one from the main line seemed to recognize what was occurring. So no fear of nasty looks. Plus you have a baby, and you can do anything when you have a baby. A great way to fill the afternoon inexpensively is to jump on the trolley on Canal street and go towards the Garden District. See the plantation style grand houses while riding in an open trolley. Bring some water and snacks, and take it all in. When the trolley arrives at Tulane, there are many food options to choose from. To save some time we took an Uber back to the hotel. We steer cleared of Bourbon street but the French Quarters offers some amazing walks that will bring you by magnificent historic houses, cafes and cute boutiques, and all of it is easily navigated on foot. Put on some comfy shoes and go get lost. 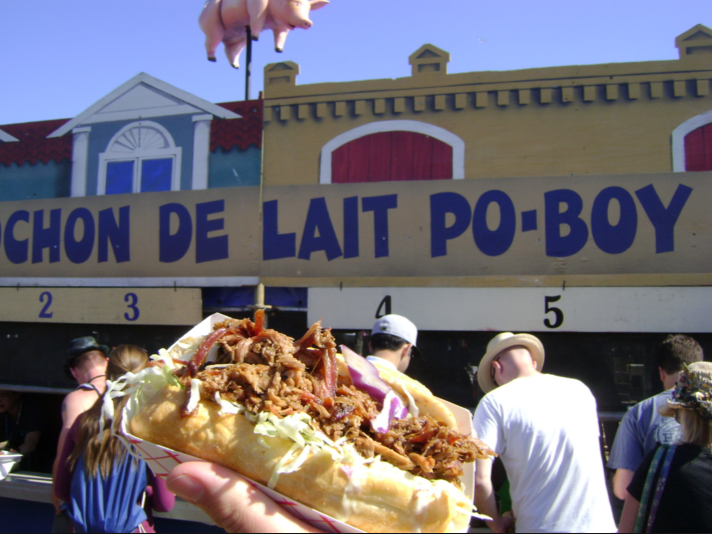 If at all possible, coincide your visit to New Orleans with the world famous Jazz Fest. The food, music and crowd is an amazing experience to share with your baby. But make sure to bring lots of sunscreen (for both you and baby) and something to cover baby's head. Typically the weather will be a comfortable 70 degrees, but when we went it was in the 90s. We were able to walk around with baby for about an hour until we had to head back. There are areas with water misters and air conditioning, but unless you are a smooth talker, most of these areas are reserved for VIPs. Karina absolutely loved the music, and the crowd seemed to love her. They all parted ways and made sure we had the best views. New Orleans truly loves their babies! Age visited: 2 months, 4 months, 6 months, 8 months, 10 months and ongoing... Nana & Tata live here. Karina was born on a crisp, Fall day in Manhattan next to Central Park. I was in the delivery room and the whole experience was a whirlwind. Two things I remember very clearly; that my daughter was the most beautiful thing I had ever seen, and that the conversation quickly turned to how early we could bring Karina to Austin. My wife is a Texan, and like the Jews on my father’s side, there is a strong desire to return to the homeland. Our pediatrician told us she flew with her baby on an international flight 2 weeks after giving birth. However, we weren't quite ready at two weeks. So we decided to err on the side of caution and wait until she had her first set of shots (8 weeks). Austin is a special, creative and baby-friendly town. For details on that first flight, and all flights after, read this post. For details on what we packed for our two-month-old, read this post. Hotel Van Zandt - New to the hotel scene, we love this place. They have a very cool rooftop pool with bungalos that can provide shade for baby as you have a cool cocktail. They also provide cribs. The only downside is that it's not the most stroller-friendly location, and you may need to utilize Uber more frequently than if you were in central downtown. However, it's right off of Rainey Street (a trendy, cool area with old houses converted into bars and restaurants) so if you have a sitter, you can hit that up at night. Otherwise, it's still cool to walk baby around there during the day. Sunday Brunch in the hotel's restaurant, Geraldines, offers incredible french toast and live jazz. Karina loves the live music, and the ample space between tables is perfect for strollers. South Congress Hotel - This hotel is Austin chic at its finest. They also provide cribs and have some great food options, nearby so you wont have to walk far with a stroller. Situated in the middle of the South Congress scene, this is a stroller's dream. The food offering here is also top notch. We ate at the hotel restaurant for brunch. The house-made pastries are tasty (and sinfully buttery). After a day of walking around, we returned to the hotel for a drink. The bartender made a killer Old Fashioned. While we have never stayed here, friends have told me the rooms are spacious and quiet, and since this hotel is new, it seems they pass out upgrades pretty frequently. Radisson on Lake Austin - This is a budget option that is in the best possible location in Austin. Right next to the Four Seasons and the famous bat bridge, you are able to walk to all of Austin’s downtown notable landmarks, restaurants and nightlife. Walk over to the W for some drinks on the covered patio. Hotel Saint Cecilia - This hotel is true luxury with genuine Austin flair. Tucked away down a quiet side street, it's a 5-minute walk from the hustle and bustle of the heart of South Congress. The pool area is private, and the water is great for your baby. The bartender makes some of the best cocktails around, in one of the coolest bar set-ups around. You can choose between staying in the main house, or in one of the private cabins that are tucked behind the pool area. Speaking of the pool, this private oasis will make you not want to leave the property. W Hotel Austin - This hotel has a special place in our heart. We held our rehearsal dinner here, and it's where my wife stayed the night before we got married. Our wedding night was spent at the nearby Four Seasons (post below). We've never spent the night here with baby, but we have brought her to the restaurant and bar. Both are superb for babies. The hotel itself gives off the vibe that you entered your rich eccentric uncle's house who loves music, the color red and high ceilings, and a bar in his living room. The couches are soft and there are few sharp edges making it safe for your crawling baby to explore. The restaurant offers high chairs and also some good food options for the kids. The hotel supplies cribs and the pool is also baby-friendly... although you may need to share it with some visiting hipsters. But most hipsters love babies. Four Seasons - While my wife-to-be stayed at the W, I stayed at the Four Seasons. The hotel lobby is Texas-chic, with designer cow-skin sofas and cowboy memorabilia sprinkled throughout. You instantly feel at ease in this spacious area and babies are very welcome. Should baby get fussy, it's just a short walk to the riverfront for a calming walk. Outside facing the Colorado river you will also find the hotel restaurant, Trio. The Huevos Rancheros are some of the best I've had, and I'm pretty sure they were made tastier being accompanied by an amazing riverside view. Some of my favorite restaurants can be found in hotels described above. Here are some non-hotel options. Hula Hut - With stellar views of the lake, this casual, come-as-you-are gem has been an Austin staple for many years. This Mexican-Hawaiian fusion cuisine keeps things interesting on the palette. Sit outside for cocktails where you can order appetizers while you wait, or even a full meal if the weather is cool enough. There's plenty of shade for baby, and bottomless chips and salsa for you. Rudy’s - Hands down this is among the best BBQ in Austin. Set in a Texas-sized gas-station, some may dismiss it because it’s a chain, but it's a Texas-specific chain, and that makes a difference in my opionion. As long as you remain within state lines, you are more authentic than those that go interstate. Perfect for kids of any age, and ample outdoor space and shade for a stroller. Lambert's - On Second Street. In a refurbished general store. With live music (as most Austin places are). Get the rib appetizer. Don't think about it. Just do it. Order other things too. Order all the things. They're all incredible. But not without ordering the rib appetizer first. Duchman Family Winery - A short drive away from the city is a Texas Hill Country Winery that's a perfect weekend activity. Gorgeous scenery, grapevines and an elegant Italian-styled wine tasting house and restaurant make you feel like you were transported to Tuscany (kind of). It was very easy navigating the stroller. The wines are very tasty and the affordable wine flights make it very easy to drink a bit too much. Be sure to appoint a designated driver. Being from NYC you sometimes forget you have to drive home, so definitely have this discussion before you set out, or just charter a limo. Actually, if are with baby, appoint a designated driver and forget the limo (use that option for date night). Thinkery Children’s Museum - Very family-friendly. Obviously. Very stroller-friendly. Obviously. Very fun for baby. Duh. And they can touch and play and interact with things. Plus, you'll walk out feeling like a smart, responsible parent who does smart, responsible things besides going to wineries and restaurants. Check. Walk South Congress - Walk. Shop. Drink. Eat all the foods. Eat Amy's Ice Cream. Repeat. Walk along the lake - Check out the kayakers, runners, and tourists by day. And In the evening, people will gather to see the bats under the Congress Bridge. Super cool, and we promise it's not as scary or creepy as it sounds. Rainey Street - As mentioned above, super cool by day, but better at night. Cool bar scene as you walk from house to house, and great restaurants. The Container Bar is also cool if you're into the whole containers-as-homes-and-bars thing. Barton Springs Pool - It's cold. Very cold. But Austin can get hot. Very hot. This outdoor public pool is filled with water from a natural spring and it's the perfect hot-day activity. Located in beautiful Zilker Park, it's an Austin must-do. Hamilton Pool - A lot of people know about Barton Springs. Not a lot of people (at least not tourists) know about Hamilton Pool Preserve. This natural pool evolved naturally when the dome of an underground river collapsed. See. Mother Nature never fails. She makes beautiful things out of her mistakes. Go see a University of Texas football game - Try not to leave this town without going. If your kids are old enough to enjoy it, go. If you have a baby, try to get a sitter so you can scream and cheer for the best team around. It's AnaLiza's alma mater. Walk around "the drag" after if you really want to get a feel for the charm and pride of the University. The Texas State Capitol - They call Austin the "donut-hole" because it's pretty much the only liberal city in Texas. But that doesn't mean it's not filled with political peeps from both parties. So whether you sway blue or red, be sure to check out this beautiful monument to Texas history. At least for the Instagram post. Normally, international travel would not be on the top of my priority list after just having our first child, but one of our good friends was getting married in Montegnegro, and he and his future wife insisted on having us AND the baby attend. I didn’t need much more of an excuse to book a ticket. I’m easy when it comes to travel. To make the trip more manageable, my wife and I took two weeks off for this adventure. We decided to spend the first week in London with some friends, and the second week would be devoted to Croatia and Montenegro. This post will be devoted to our London portion. 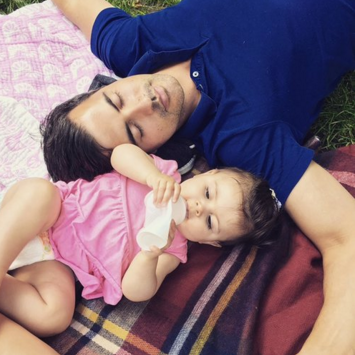 Babies and London go together like peanut butter and jelly. It's a walking city, which makes it the best kind of city for babies. We have been to London many times, and have stayed at many different hotels. For this trip, we stayed with a good friend of ours in their two-bedroom in Shoreditch (not the most baby friendly) as well as a friend in Islington (more baby friendly). One of the biggest insights we had for this trip was to not make baby adjust to the local time zone. We are from NYC, which is 5 hours behind London. We simply kept our schedule and woke at noon and went to bed at midnight. Our little baby was none the wiser, and there was no painful acclimatization to a new schedule. The biggest benefit to this is that we were able to go out late with friends, and we didn’t need to get a sitter because we were still on her sleep schedule. Baby got fussy at times, but I simply took her for a stroll around the block then rejoined the party. 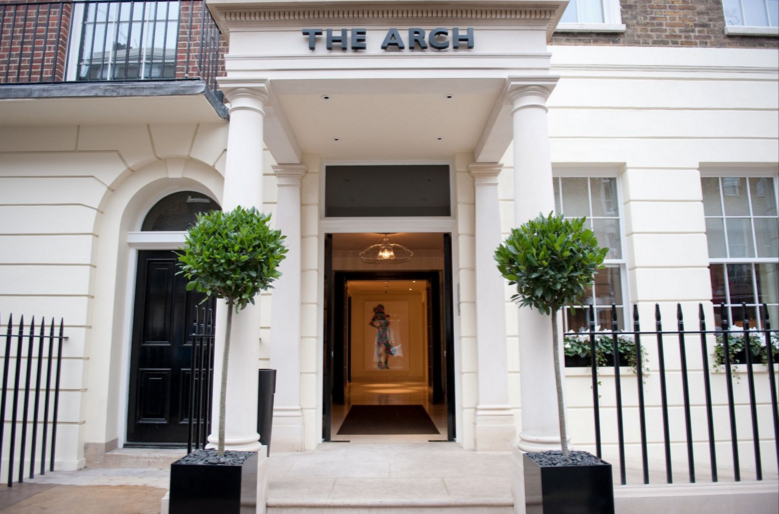 The Arch Hotel - This charming hotel in Marleybone is within walking distance of all the great shopping near Oxford circus, but far enough away to have a quaint residential feel. Walking into this boutique hotel reminds me of walking into a friends house. A well appointed lobby bar greets you as you enter, and you are quickly offered either sparkling or flat water. In the mornings, they offer a wonderful English breakfast. We were not able to sample the dinner menu, but from the sight and smell, you wouldn’t go wrong. The rooms are a bit small, but large enough for a crib and space to navigate around it. The room has a very cool vibe. The London Edition - Spoil your baby with this swanky hotel. While I would recommend staying elsewhere for cheaper and simply checking out the amazing lobby bar, you surely can’t go wrong if you have the funds. I never had the opportunity to stay here, but I have frequented the dining room and bar. Both can accommodate babies, but I’d recommend this one for a mom and dad’s night out. They do provide cribs (I called and verified). The Churchill - This hotel on Grosvenor Square has nothing super modern or special about it, but it is 100% reliable. The amazing staff will remember your name and go out of their way to make sure you and your baby are comfortable. Great bedding and cribs, and large rooms to accommodate the stroller and bags. 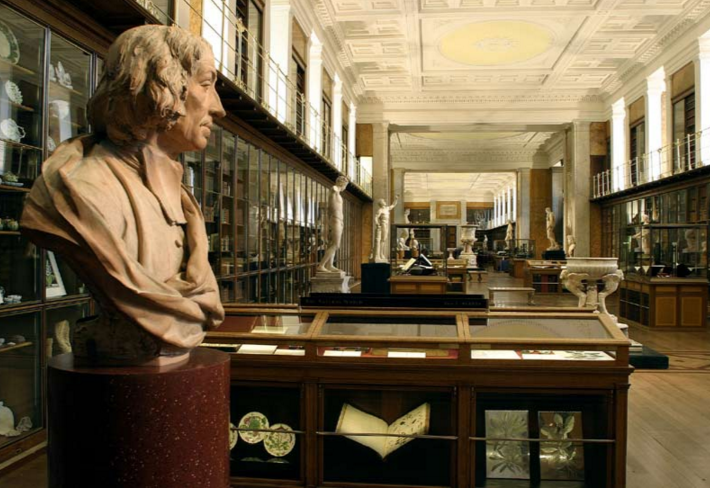 The central location also makes it possible to go the entire week without taking the tube (although I do recommend you venture out far and explore). One more plus... it's super close to shopping, which my wife appreciated. And as they say, happy wife...happy life. 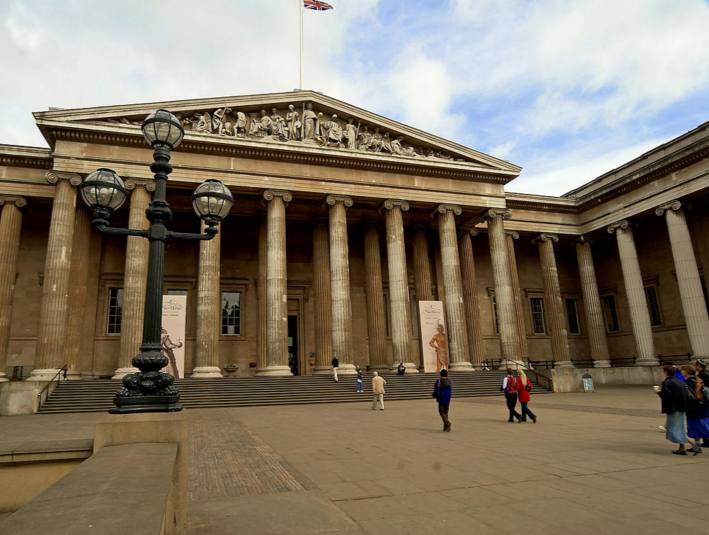 The British Museum - This museum is stroller friendly AND free. The many exhibits and people walking around kept baby visually stimulated and left mommy and me free to gaze at some wonderful works of art. I highly recommend taking baby out of the stroller when walking through King’s library. All of the exhibits are safely tucked behind protective glass, and baby is free to reach out and touch in the direction of her favorites. It was a very special time. The Tate Modern - I visited this museum on a solo trip, but I know it to be extremely family friendly. The wide aisles and open atriums make this a stroller’s dream, and the exhibits are sure to keep everyone in the family captivated. One tip for museums is to put your Iphone music on low and put it so the baby can listen. This will calm her down if she gets fussy, and ensures she can take in all the sites. Selfridges - This is a must. Strolling around with the baby while my wife shopped was one of the highlights of the trip. While I am a history buff, I have a background in retail, and Selfridges is one of the top three shopping destinations in London. Harrods and Liberty being the other two, but they are not as baby friendly as Selfridges. Some may warn me that I am creating a very expensive shopping monster by exposing her so early to high fashion, but I’d rather take that risk so that she has a very highly defined sense of taste and style (just like mommy). One of my favorite moments was when I changed Karina on a couch in between well-merchandised racks of designer dresses. I like the idea of saying I fed you with a silver spoon (I have) and wiped your tush in the company of Miu Miu and DVF. It’s also possible to find a low traffic shop in shop and nurse on one of the many plush couches that litter Selfridges. The only downside was the elevators. We had to wait for a few to go by before there was room to cram a stroller in there. Definitely check out Hemsley + Hemsley cafe for some champagne and scones and a respite from shopping. Hyde Park - There is something extremely British about a day in the park. Yes, New Yorkers have Central Park, but I just feel like the Brits have mastered the art of park lounging. Picnic baskets and familes will dot the park. Clotted creams, champagne bottles, nice dresses and happy babies are a common sight as you walk through the great lawns of Hyde Park. We recommend purchasing a pre made picnic basket (offered at the Arch hotel) or assembling your own from one of the many bodegas that can be found as you enter the park. Pick up some prosecco, biscuits, meats, cheeses and some food for baby. Don’t forget an extra long bedsheet or picnic sheet so that you can spread out and baby can crawl around. My wife and I took turn taking naps. Also don't forget a jambox or other portable music device. Karina and her silver spoons. Our friend’s thought we were crazy to bring a baby to such an English institution. But babies are something Claridges have prepared for expertly. The high chairs are some of the finest we have ever seen, and they are very accommodating for baby's dietary needs. We brought our own baby food, so we simply ordered the tea and champagne course. Mommy felt more than comfortable to cover up and nurse in the middle of the tea room, and the Brits did not even bat an eye. Many patrons came up and introduced themselves and wanted to know what baby’s name was. Baby did get fussy from time to time, so I simply excused myself from the table and took her for a little walk around the beautiful hotel lobby. When she was calm and rejoined the tea party, we stayed at tea for 3 hours, and at one point a steward came up to me when he saw that Karina was starting to fidget and asked if he could bring anything over for her. Karina has a penchant for playing with spoons, and upon hearing this, he brought over 10 SILVER spoons for Karina to play with. Claridges earned a fan for life with that move. The Earl of Essex - Sunday Roasts, like the queen, unpredictable politics and big Ascot hats, are a London institution. Most of the best are in unassuming pubs that have zero problems with a baby. Some of them wouldn't even notice if the baby started crying, especially if there is a soccer game on. Our buddy who we were staying with lived within walking distance of this great spot. Only about ten tables, this intimate pub has an amazing array of beers on tap and the roast chicken was incredible. I had to take Karina on at least 3 walks during this three-hour affair. I needed to burn off the calories so I didn't mind. Dishoom - Like Indian? Who doesn't? I'll tell you, people with weak stomachs. Luckily, my family doesn't count among those types. Dishoom is a London chain restaurant that is miles away from chain food. The Chicken Tikka and Naan are litmus tests for good Indian food (at least for my bland American taste buds), and these two were the best I've ever sampled. The array of chutneys are impressive, and the multiple selections of daal are mouth watering. Each location is designed in its own unique way. I've visited the locations in Shoreditch, Covent Garden and City Center. Shoreditch is the most baby friendly layout and to my knowledge is the largest location. Be sure to get there early as this place fills up fast. First come first served... but they will serve you tea while you wait in line. A nice Brit twist on Indian fare. 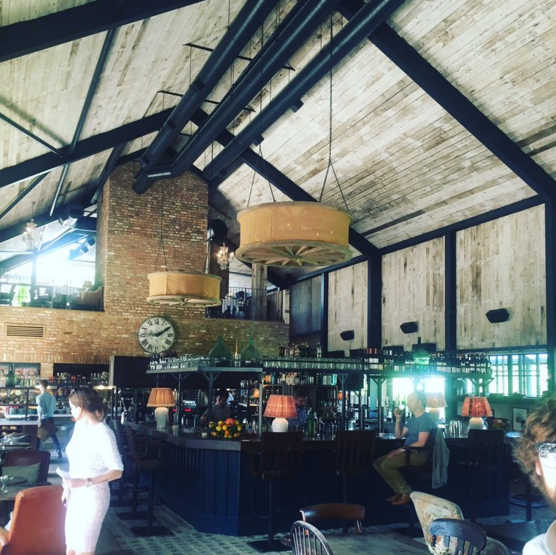 Soho Farm House - Being a member is nice, but not necessary. At least during the weekdays. This hotspot in the Cottswalds is the closest thing that us non-aristocrats will get to the royal treatment. The Cottswalds are named after the type of wall that line the many tiny roads in this area. After what seems like an eternity of staring at picturesque walls, lawns, houses and farms you arrive at Soho Farmhouse. We chartered a car for 200 pounds and left the stress of the drive to a professional. It also left us free to enjoy the scenery. Upon arrival we were greeted by very young, and very good looking reception staff. They loaded our gear into a very cool vintage bus and drove us to our cabin. If you travel with baby, I highly recommend you get one of the cabins. The Farmhouse also offers teepees but in my opinion these are for the young and single or young and married without children. I like a little bit more than cloth to separate my baby from the elements. Give me oak and cedar! Besides, the cabins offer record players and vintage vinyl, fresh bread, a mini bar for the ages and amazing furnishings. Most open up to a balcony overlooking a man made pond. And yes, they spray for mosquitos. The landscape is incredible and the pool, set amongst lilies and a very picturesque pond, is perfect for a dip with the baby. The Farmhouse offered up a baby floaty that Karina and I took for a spin. The heated water was perfect, and the bartender made some amazing drinks that were served poolside as I did not want to remove Karina from the pool. The piece-de-resistance was the bar at the main house. A converted barn serves as the central gathering place for all patrons. Many parents with kids gathered around and approached you when you entered with a stroller. It seemed like a band of brothers for those that ventured there with kids. We made some great friends and great memories. Did I also mention they have boats on premise? I've been to Lake Tahoe sans baby in the Winter, but this trip would be the first I've seen the ground not covered by snow. Karina was 9-months-old when we found ourselves in Lake Tahoe for our friend's wedding. We ended up doing an AirBnB in Incline Village with friends and it was the best decision. We were able to make her baby food, and set up lots of space in the living area for her to play. Plus, the neighborhood was really nice and we felt comfortable strolling her around for naps. The Beach at Incline Village - Actually, all the beaches are pretty incredible and picturesque. We took Karina out every day. This particular one had a bar with a view of the water right outside, so you can take in the fresh air and the scenery. See Travel Tips Section for what to pack for beach. Get a sitter and charter a boat - We chartered a boat for 5 hours and it was an absolute blast. We highly recommend it, but don't take baby. The wedding organizer had recommended Sierra Sitters Lake Tahoe and we couldn't have been more pleased. Our sitter, Maddi, was incredible. We hired her ahead of time and she babysat twice. Once for our boat day, and then the next day for the wedding. She sent us texts letting us know how Karina was doing, and we felt very confident in her experience with babies. Gamble - After the wedding, we ended up at Harrah's for the after-party. Half of us walked out with money. Half of us didn't. Regardless, a good time was had by all, and the bride won $700! Car Situ - We also recommend renting a car. The Uber situation was a little shotty at times and the wait times would be over half an hour. Don't bother, and just do the rental.